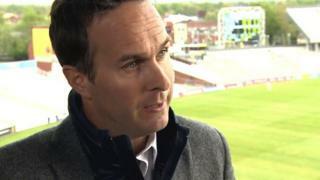 Former England captain Michael Vaughan says Australian Jason Gillespie is the "stand-out candidate" for the vacant England coach job. Peter Moores was sacked as England coach following a dismal World Cup and the drawn Test series with West Indies. Yorkshire head coach Gillespie is the favourite to replace Moores on a permanent basis.